A new competition for Huddersfield this year. The 1,2,3 event is on June 16th starting at 945 and and lasts all day. Teams of 3 play singles, doubles and triples some simultaneously. This is popular in the South and Midlands and this is the first event of its kind in the North. Demand will be high as there are only 10 places available. Entry £10 per team. All money returned as prizes. There’ll be a raffle, free tea, coffee and biscuits all day in our new clubhouse and a warm sunny day all making a great day of pétanque. Enter on Northern Pétanque website or by talking to a committee member. Roll up! Roll up! This entry was posted in Petanque on January 17, 2019 by huddersfieldpetanque. It’s a 3 horse race! Members Monthly melee result for January. Marie returned to winning ways and someone called Clive came second with Yvonne 3rd. All this means that 3 have broken clear with 2 months left. Good performances from the 7 players who won all 3 games but Brendan and Nigel didn’t have the points difference they needed this week. 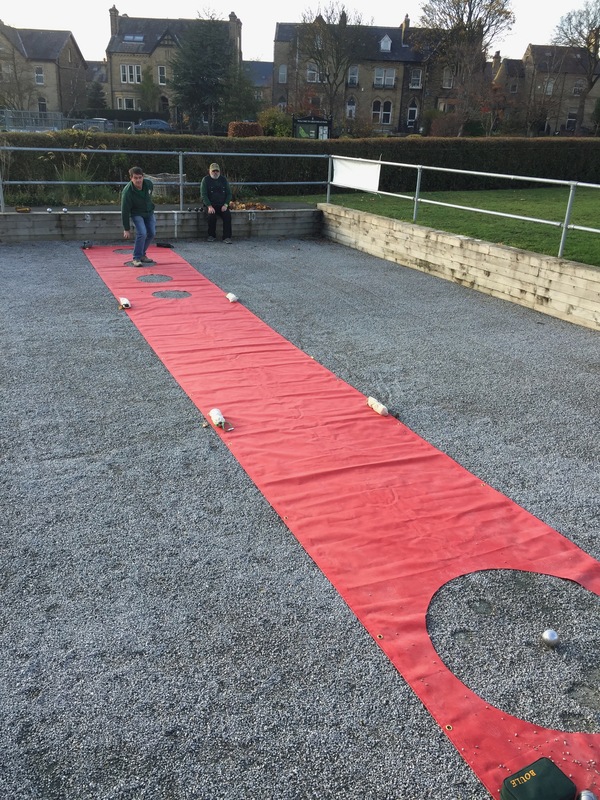 This entry was posted in Petanque on January 16, 2019 by huddersfieldpetanque. This entry was posted in Petanque on December 31, 2018 by huddersfieldpetanque. 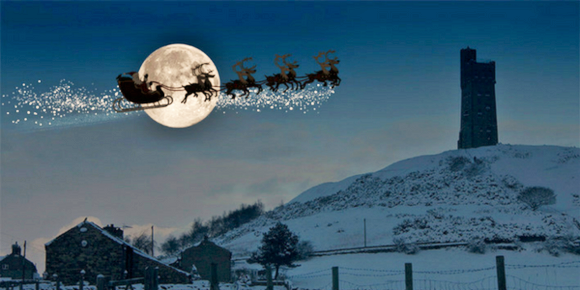 As Santa’s sleigh, weighed down with sets of boules as Xmas presents, shoots over Castle Hill we all gaze up and wonder “How the hell does it stay up there with all those boules on board?” but our second thought is “Happy holidays to all our members and followers”. Next competition is January Member’s melee on 13th January 2019. Between now and then social play is available on normal days and on 23rd December we’ll put on Tea, Coffee & Mince Pies in the new Clubhouse. This entry was posted in Petanque on December 21, 2018 by huddersfieldpetanque. 12 members played the December MMM on a wet but not cold afternoon today. That of course meant that everyone scored points! This entry was posted in Petanque on December 5, 2018 by huddersfieldpetanque. On Sunday 18th 12 members took part in our first ever Shooting Competition or Tir de Précision. Over 4 distances, 6,7,8 and 9m and 5 disciplines the maximum score is 100. Dylan Rocher was 2018 World Champion shooter with a score of 57. 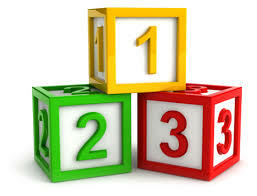 The top three members were Pete scoring 6, Brendan with 5 and Margaret with 4! Several players did not bother the judge at all! Everyone enjoyed the experience (I think) and we will repeat the competition regularly now we’ve taken the plunge. Maybe a monthly shooting competition? Food for thought! One thing our results show very clearly is that we all need to practice shooting a lot more. When we get our Monday training sessions back on track we can concentrate on this discipline. This entry was posted in Petanque on November 24, 2018 by huddersfieldpetanque. 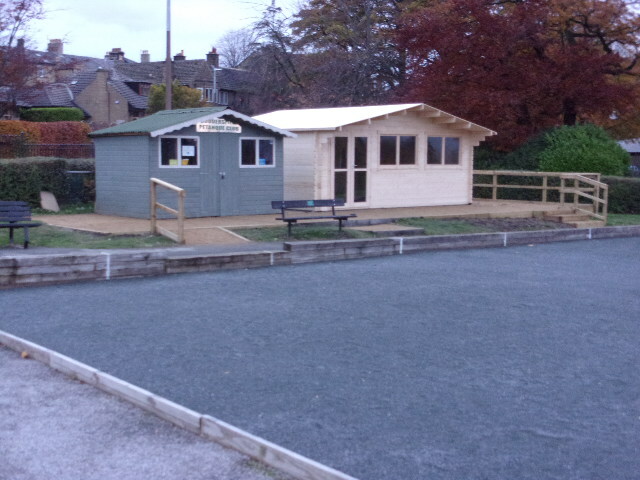 Benny Hill builds new clubhouse. We’ve spent the last few days building our new clubhouse. If you want to see it and also play boules on our terrain pop round to the Marsh Gates at Greenhead Park on Sunday or Tuesday at 1pm. Here’s the video of the first day of the build. Speakers on! This entry was posted in Petanque on November 20, 2018 by huddersfieldpetanque.